Practical and stylish round cafe table available in two sizes. Features include a polished natural maple veneer top and sturdy chrome legs. Held in stock for a fast delivery. 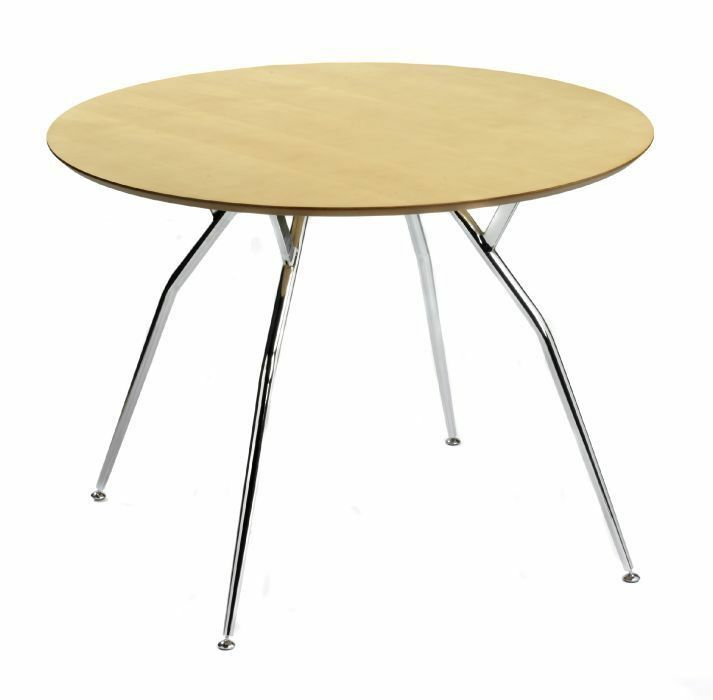 Round café tables with designer chrome legs delivered flat packed from stock. Please contact our sales team if you would like to take advantage of our national café furniture installation service.